Sandy based MSA Academy racing driver Ben Tuck finished his rookie season in style with a superb win in the BRSCC Mazda MX5 Championship title showdown at Donington Park last weekend to take him to 3rd spot in final Championship positions. The title battle went down to the last thrilling race of the season in which 3 drivers fought for the title honours. Ben took the chequered flag in the last of the 3 outings at the historic Midlands circuit in the lead after taking two 2nd places in the previous 2 races. The MX5 Championship is one of the most highly competitive single make series in the country and 2015 has been perhaps the most exciting in its history. From the very first race Ben established himself as one of the front 5 runners, battling front and centre of the action in each hard fought race throughout the season. By the time the 60+ drivers rolled into Donington Park in mid October, Ben was one of 5 drivers with a chance of taking the title. Throughout the season Ben has celebrated podium positions not only in the UK based championship but also claimed a class win as a guest driver in a European MX5 race at the legendary Spa-Francorchamp circuit in Belgium only days after fellow Briton Lewis Hamilton took win at Spa in Formula 1. With everything to play for Ben took to the track in qualifying on a damp Saturday morning. Unexpected tyre problems meant that he struggled for grip and only managed 9th place on the grid several rows behind his usual qualifying position. With a mountain to climb back up to his championship contenders, Ben had to find a way of catching and beating his adversaries. 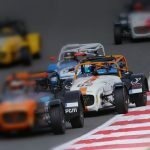 Live TV and radio audiences were treated to what proved to be one of the most exciting MX5 races of the season as Ben battled his way to the leading pack and joined the fray for a 5 car battle for the win. With the lead seemingly changing corner by corner, Ben picked his moment to take and hold 2nd position by the flag. The result narrowed the title battle down from 5 to 3, with Ben taking his place as one of those 3 drivers able to clinch the title. Race 2 proved up to be even more thrilling than Race 1. Starting from the front row, Ben was quickly engulfed in a 4 car fight for second place as the leader pulled away. With a calm approach, Ben took advantage of the melee to pick his moment for the decisive moves to deliver him 2nd place. The result closed the battle for the championship and set the stage for a final race showdown for the title. As the final MX5 race of 2015 roared away from the line, Ben knew the championship title relied on his fellow challengers not finishing the race, but that 2nd in the Championship in his rookie season was a distinct possibility, but only with a win and with his nearest competitor finishing lower than 11th. With single minded determination Ben stayed with the leader and chose the perfect moment to make his move for the win 2 laps from the flag. 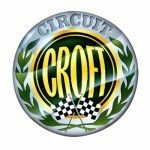 Meanwhile his nearest competitor had been handed a brace of time penalties that took him down to 10th by the last lap tantalisingly close to handing Ben the Championship Runner up spot. Ben’s current sponsors and partners Power Maxed, Aviamics, Saturn Systems, Goldstar Onboard, Trafalgar Technical Solutions, Air Research and the MX5 Owners Club were delighted with Ben’s success and his progression throughout the season. The result sealed Ben’s position as one of the top young drivers in the UK and leads the way to exciting options for the 2016 season. Ben now turns his attention to endurance race duties supporting the Mission Motorsport charity in the 1000km day/night Race of Remembrance at Anglesey in November, driving for the MX5 Owners Club Team in a Mazda MX5 Mk3. With a number of possible options for the next step in his exciting career, Ben is searching now for partners to benefit from the high profile business opportunities available as he moves into top flight racing.